Sector -31,Chandigarh,Phone No.0172-2637349, 2637361, 2637396, Fax No. 0172-2637369). Advertisement No. RIMH/Estt-1/345/2015/4774 dated 24.08.2015. Reservation-For General-05,OBC-02 and for SC-01 post. Qualification-10+2 with Diploma in Vocational Rehabilitation (DVR-MR) from any Govt. Institute. Period of contract-One year or till the regular arrangements are made, whichever is earlier. As as on 01.01.2015-18-25 years.Relaxation as per rule. Reservation-For UR-16,SC-05,ST-02 and for OBC-08 Posts. 10 Posts for Vijaywada and 21 posts for Mumbai. IDA Pay Grade-Rs. 20600-46500.Age as on 01.07.2015-18 to 28 Years.Upper Age relaxation by 5 years for SC/ST and 3 years for OBC candidates. Mode of selection-Written Test (two papers), Group Discussion and Personal Interview. Educational qualification-GATE qualified candidates for the year 2014 or 2015.Minimum 60% marks or equivalent CGPA in B.E./B.Tech (Civil) with a valid GATE Score in 2014 or 2015. Knowledge of speaking and writing of English. Reservation-For UR-51,SC-15,ST-07 and for OBC-27 Posts. Consolidated salary-14000/-per month.Preference will be given to experience in counselling. Knowledge of Hindi up to Matric + Knowledge of Computer (ability to work on MS Office). 1.Bachelor of Arts (B.A. )Part-1,2 and 3( 3 years duration). 3.Bachelor of Commerce (B.Com.Part-1,2,3) 3 years. Diploma in Library & Information Science (One year duration). Master of Arts (M.A.) in English-Time Duration Two Years. Master of Arts (M.A.) in Punjabi-Time Duration Two Years. Master of Arts (M.A.) in Mass Communication-Time Duration Two Years. Master of Arts (M.A.) in Hindi-Time Duration Two Years. Master of Computer Application (MCA)-Time Duration Three Years. Master of Arts (M.A.) in Sanskrit-Time Duration Two Years. Amritsar-42,Fatehgarh Sahib-30, Gurdaspur-47,Patiala-85,SAS Nagar-09,Sri Muktsar Sahib-04,Faridkot-05,Kapurthala-90,Jalandhar-136,Barnala-08,Tarn Taran-62,Moga-69,Hoshiarpur-136,Pathankot-36,Mansa-07,Fazilka-40,SBS Nagar-75,Sangrur-80,Ferozepur-19,Bathinda-20 and Ludhiana-186 Posts. Pay Scale-10300 - 34800 + 3200/- Grade Pay. Last date for online application-15.09.2015. Tentative date of examination-Announced later. For RRB Ahmedabad-28,for RRB Ajmer-08,for RRB Allahabad-20,for RRB Banglore-31,for RRB Bhopal-10,for RRB Bhubaneshwar-04,for RRB Bilaspur-24,for RRB Chandigarh-08,for RRB Chennai-11,for RRB Gorakhpur-01,for RRB Guwahati-10,for RRB Kolkata-62,Mumbai-62,for RRB Muzaffarpur-01,for RRB Patna-09,for RRB Ranchi-11 and for RRB Secunderabad-01 Post. For RRB Ahmedabad-03,for RRB Allahabad-01,for RRB Banglore-14,for RRB Bhopal-01,for RRB Chennai-01,for RRB Guwahati-01,Mumbai-33 and for RRB Muzaffarpur-01 Post. Qualification-Passed 10+2 and experience of operation of Arms. Senior Security Assistant (Technical)-05 Posts. Pay Scale : Rs. 9300-34800 (PB-2)+Grade Pay:Rs. 4800/-. Security Assistant Grade-I (Technical)-05 Posts. Pay Scale : Rs. 9300-34800 (PB-2)+Grade Pay:Rs. 4600/-. ‘Recruitment’.Send one application for one post. Mode of selection-Eligible candidates will have to appear before a selection board to be constituted for the purpose for a Personal Interview. IDA Pay Grade-Rs. 24900-50500.Age Limit-Not more than 45 Years. Educational qualification-60% marks in Masters in Environmental Science or Environmental Engineering. How to apply-Apply on prescribed format of application.Application format available on DMRC official website. Last date-The last date for application is 15.09.2015. Selection Process-Interview + Group Discussion + Medical Examination. Pay and Emoluments-The pay & emoluments for shall be as per pay scales under the IDA (Industrial DA) as applicable from time to time. Date of interview-15.10.2015.The final results may be declared by 13.10.15. District-wise posts are as under-Sirohi-66,Udaipur-808,Pratapgarh-407,Dungarpur-803 and Banswara-887 Posts. Qualification-Qualified 10+2 Examination/Senior Secondary Exam or its equivalent + Minimum One year experience required for these posts. Reservation-Reservation will be as per Govt. of rajasthan rules. Marks of Experience-5 marks for one year experience.10 marks for two year experience.15 marks for three year experience. Remuneration-6720/-per month in probation period.Rs.5200-20200 + Grade Pay 1900/-will be given after successful completion of two years probation period. Medical Officers/Research Officers (Homoeopathy)-10 Posts. The Central Board of School Education (CBSE) is going to conduct Central Teacher Eligibility Test (CTET) on 20.09.2015 (Sunday).In the view of above test CBSE provides data correction in entries entered by candidates.Now candidates,who have applied for this test,can edit their detail up to 25.08.2015.No can will be given after due date.The candidates whose fee verification is not showing on their application form,they may contact at CBSE Delhi office up to 5:00 PM by 25.08.2015.Admit cards can be downloaded after 04.09.2015.As per notification only online applications was invited on official website www.ctet.nic.in.The opening date for online application was 30.07.2015 and the last date for online submission was 19.08.2015.The Syllabus,Eligibility and Time duration of Examination and other detail are available in CTET Public Notice 2015.Candidates can check syllabus for their preparation. The Board of School Education Haryana (HBSE) has postponed the Haryana Teacher Eligibility Test August 2015.Now this test will be held in the last week of October 2015.Education Minister of Haryana Mr.Ram Bilas Sharma told to media persons about this decision.New dates of examination will be announced later.Now HTET October 2015 will be held in the home district of candidates.This decision made after high level officers meeting held at New delhi today 22.08.2015.T.C.Gupta with many Education Officer were present in this meeting.As per previous schedule HTET was fixed for dated 30.08.2015 and 31.08.2015.Admit Card was uploaded on website on 18.08.2015.Now all admit cards are cancelled.New admit cards uploaded before some days of examination.Admit Card will be compulsory for each candidate for entering in the examination centre. 5 marks for one year experience.10 marks for two year experience.15 marks for three year experience. For UR-19, OBC (Non Creamy Layer)-9 Posts,SC-5 Posts, ST-02 Posts (Pwd-OH-1). Pay Scale-Rs.24900 in the scale of Rs. 24900-50500 (IDA). Essential Qualification-M. Tech./MS/ ME/M.Sc (Engg/ IDD (Integrated Dual Degree). Age as on 31.05.2015-28 years. (Candidates should be born on or after 01.06.1987. Relaxation in upper age Limit-SC/ST-05 Years,r OBC(NCL)-03 Years, PwD-05 Years. Assistant (Legal)-01 Post,Pay Scale-Rs. 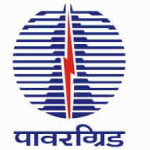 9400-25700/- (IDA).Assistant (Vigilance)-01 Post,Pay Scale-Rs. 9400-25700/- (IDA).Management Trainee (Production)-10 Posts,Pay Scale-Consolidated stipend of Rs. 33226/- per month-Management Trainee (Agri.) Consolidated stipend of Rs. 33226/- per month,Engineering-03 posts,Pay Scale-Consolidated stipend of Rs. 33226/- per month,Management Trainee (F&A)-02 Posts,Pay Scale-Consolidated stipend of Rs. 33226/- per month-,Diploma Trainee (Civil Engineering)-06 Posts,Pay Scale-One year training. Consolidated stipend of Rs. 19044/- per month.Trainee (Human Resource)-13 Posts,Pay Scale-One year training. Consolidated stipend of Rs. 14587/- per month,Trainee (Finance)-13 Posts,Pay Scale-One year training. Consolidated stipend of Rs. 14587/- per month,Trainee (Store)-07 Posts,Pay Scale-One year training. The Board of School Education Haryana (HBSE) is going to issue the Admit Card/Roll No./Hall Ticket for Haryana Teacher Eligibility Test 2015.HTET is going to conduct by BSEH on dated 30.08.2015 and 31.08.2015.Admit Cards will be available on 18.08.2015 at official website.This Admit Card is compulsory for each candidate for entering in the examination centre.No entry will be allowed without this admit card. If any candidate found any mistake in their admit card,he/she are suggested to contact board office immediately as soon as possible.No application will be accepted after due date.Admit Card can be downloaded by entering HTET registration no. of the candidate/his/her date of Birth and security pin given on the website.Admit Card will not be send by post.The candidates who had filled online application for HTET-2015 had been waiting for a long time for their Admit Cards. Sub Inspector (Workshop)-02 Posts.Pay Scale-9300-34800 + Grade Pay 4200/-. Qualification-Bachelor Degree in Mechanical Engineering OR Three years Diploma in Mechanical or marine or Auto Mobile Engineering. Qualification-10+2 qualified + Second class Master Certificate. Qualification-10+2 qualified + First class Engine Driver Certificate. For CPL Holders from IGRUA-SC-12 Posts,ST-08 Posts,OBC-50 Posts,General-20 Posts,Total-90 Posts. For Open Market Recruitment-SC-12 Posts,ST-07 Posts,OBC-50 Posts,General-21 Posts,Total-90 Posts. Age limit-Not more than 35 years.for SC/ST 40 Years and & 38 Years for OBC Candidates. Qualification-10+2 qualified from a recognized Board/University.Fluency in English and Hindi must for these posts. Selection process-Written Test+ Personal Interview + Pre-Employment Medical Examination. How to apply-Apply online at Air India Limited website. Application Fee-Send your application fee by Demand Draft of Rs.1500/- in favour of AIR India Limited payable at New Delhi.No fee SC/ST and Ex. Serviceman candidates. Qualification-Diploma in Engineering in Mechanical,Naval Architecture,Electrical, Marine Engineering,Chemical, Ship Building, and Electronics & Communication Discipline with minimum 60% marks. Age as on 27.08.2015-25 years.Consolidated Stipend Rs. 8000/- per month. Qualification-Diploma in Engineering in Mechanical,Chemical,Electrical, Marine Engineering, Naval Architecture, Ship Building,Electronics & Communication Discipline with minimum 50% marks. Age as on 27.08.2015-30 years. For General-16,SC-03,ST-07 and OBC-14 Posts. out in Delhi High Court-07.09.2015. Pay Scale-5200-20200 + Grade pay 2800/- and other allowances. Age as on 01.01.2015 : 18 to 27 years.Relaxation as per govt.notification. Essential Qualification - BCA/B.Sc in Computer Science from any recognized university with minimum 50% marks with speed of 40 words per minute in English Typing on Computer. Application Fee -300/- for General and OBC candidates.No fee for SC/ST/PH candidates. Mode of Selection : Selection shall be made on the basis of written test + interview.The short-listed candidates will be called for interview.Subject area for written test-General Intelligence( A).General Awareness (c) Quantitative Aptitude (d) English (e) Computer Science.Written Test 85 marks and Interview 15 marks. Posts of Stenographer Grade ‘C’-Total 50 Posts (For UR-28,For SC-05,For ST-08 and For OBC-09 Posts).Posts of Stenographer Grade’D’-Total 1014 Posts (For UR-642,For SC-113,For ST-61,For OBC-198 Posts).Reservation-Candidates with 40% and more visual disability will be considered in VH reservation. Date of Written Exam-27.12.2015.Last date of application : 07.09.2015. Candidates are advised to read complete detail issued by commission on website before apply for these posts. Age as on 01.08.2015 : 18-27 years.Age relaxation as per govt. rules given in the advertisement. Fee :Rs.100/-.for Unreserved and OBC candidates.No fee for all Women candidates, Scheduled Caste (SC),Physically Handicapped candidates and Scheduled Tribe( ST) candidates. Education Qualification as on 01 August 2015 : 10+2 passed from any recognized board. Mutual transfer of the teachers in same category/cadre. Widow/Widower and Legally divorced female/male teachers. Teachers suffering from terminal diseases i.e. Cancer/AIDS etc. Wives/husbands of serving officials/officers of Defence/Para-Military forces. HT/PRT and C&V female teachers whose husbands are employed in other Districts. HT/JBT and C&V female teachers who get married after joining their service. Professor of Agriculture Chemistry-01 Post. Applications are invited for recruitment of various pots under integrated Child Protected Scheme.Last date of application 20.08.2015. Qualification-Master Degree in Psychology/Master in Social Worker/master in Child Development with 55% marks and having good academic record. Qualification-Graduate in Law with 55% marks and having good academic record. Qualification-Bachelor Degree in Commerce with 55% marks and having good academic record. Educational qualification for Site Engineer-Holding Degree in Civil Engineer with more than one year experience. Educational qualification for Site Supervisor-Holding Diploma in Civil Engineer with more than five year experience. Computer knowledge is desirable for candidates. Assistant Professor in English,Hindi,Sanskrit,Geography,Maths,Public Administration,Sociology,Psychology,Economics,Computer,Chemistry,Physics,Zoology,Botany,Biotech,Computer Science and English Language Lab Instructor. Under Ministry of Human Resource Development,Govt.of India. Qualification-Second Class Master Degree in Rural Development/Social Work/Agriculture Extension or any branch of Social Sciences OR Second class diploma in any branch of Technology/Engineering with two years experience in Community Development/Rural Development. Qualification-Diploma in Engineering or Technology in any branch with second class OR Second class bachelor degree in any discipline with one year experience in industry/Rural Development/Community Development Work. Interview will be held on 20.08.2015 at 11:00 AM. Salary-The salary will be paid as per CDTP Scheme/Haryana Govt. rules. Age as on 01.09.2015 : 21-35 years. Educational qualification-Graduate with two subjects out of History, Political Science, Economics, Sociology and Geography (OR) Hons.Graduate with History or Political Science or Geography as a main subject (b) B.Ed (c) B.A. Ed with Social Sciences (d) Preferably Passed CTET conducted by CBSE or State TET conducted by State Government. (e) Fluency in English language. Age as on 01.09.2015 : 18-50 years. Educational qualification-Graduate with minimum 02 years office experience.